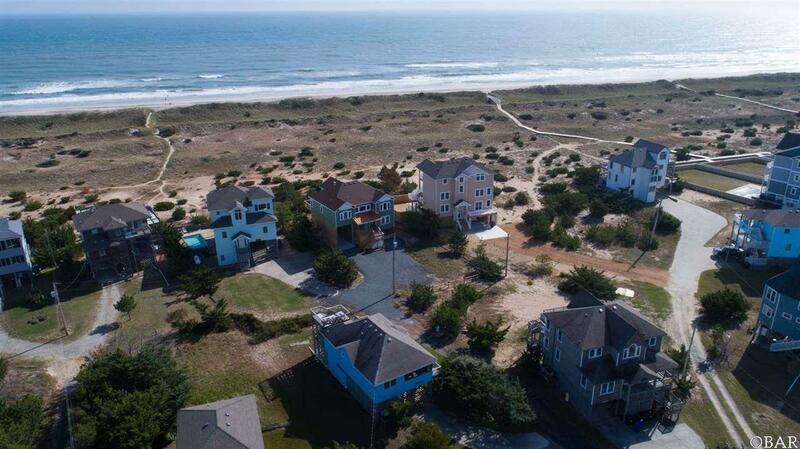 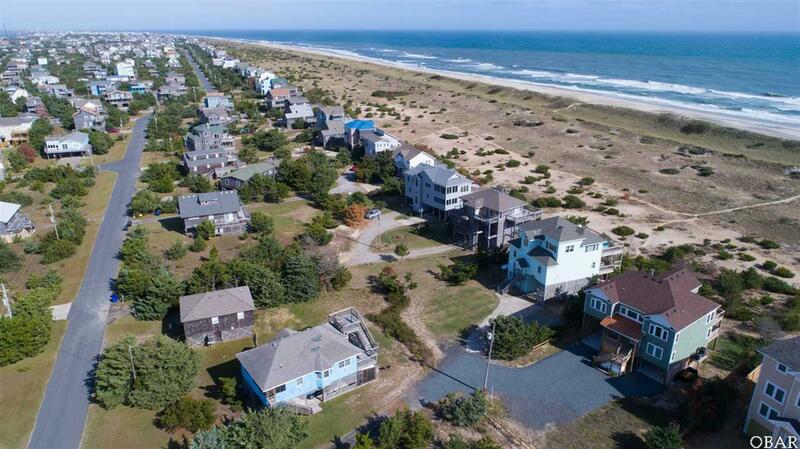 26791 Colony Drive, Salvo, NC.| MLS# 102607 | Outer Banks Homes For Sale, North Carolina Home Search Including Nags Head, Pirates Cove, Manteo, Kill Devil Hills Kitty Hawk, Southern Shores, Duck, and Corolla North Carolina, Oceanfront and Soundfront properties for sale and long term rentals. 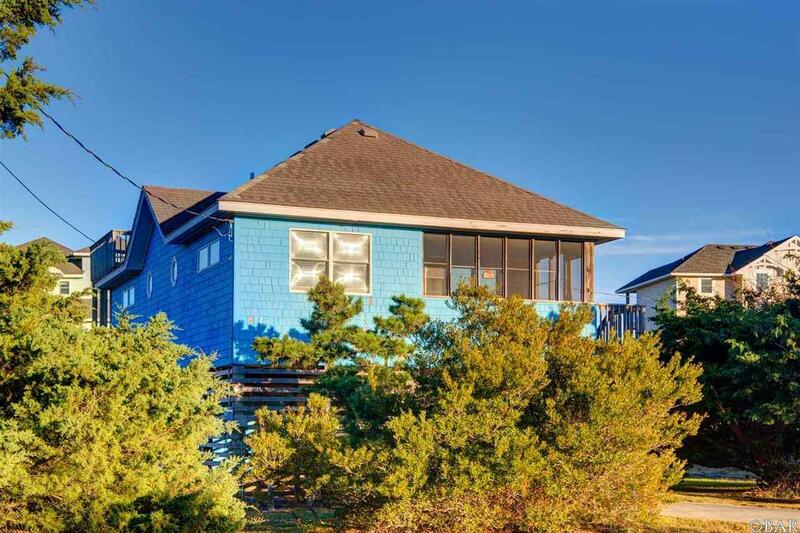 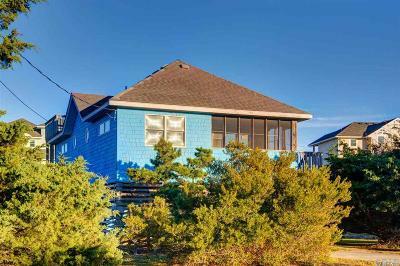 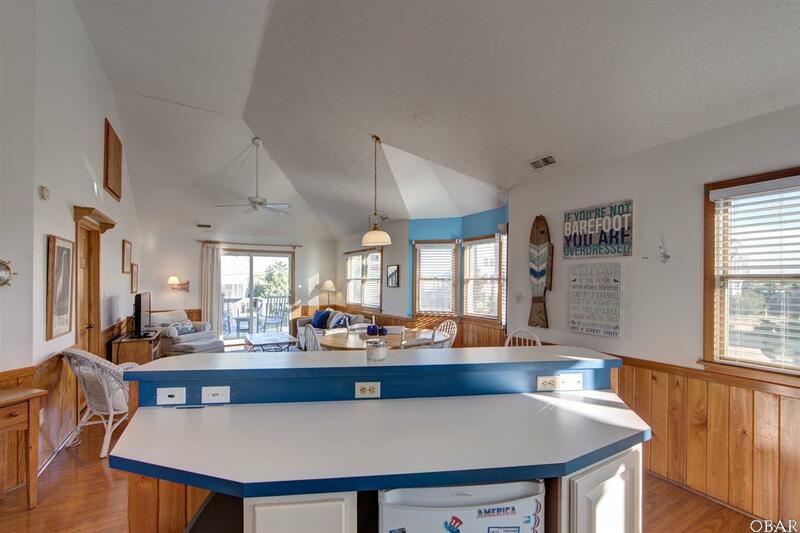 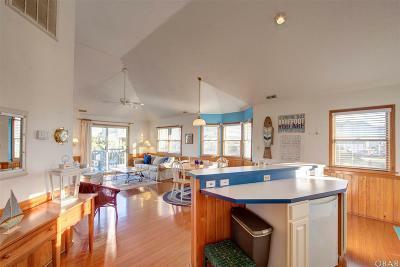 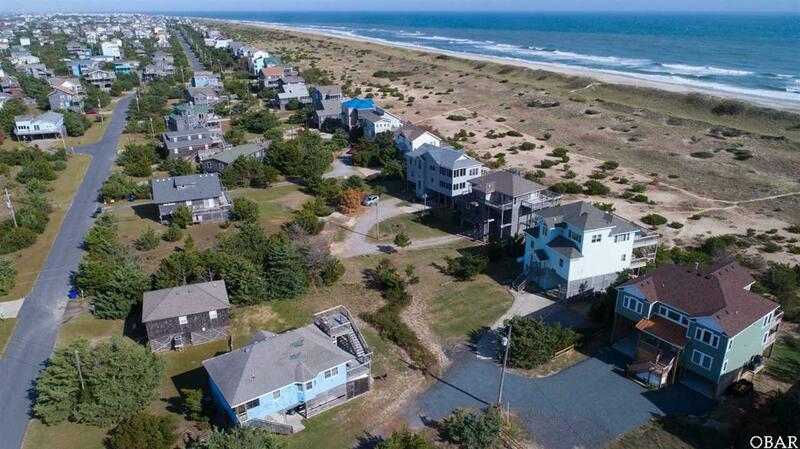 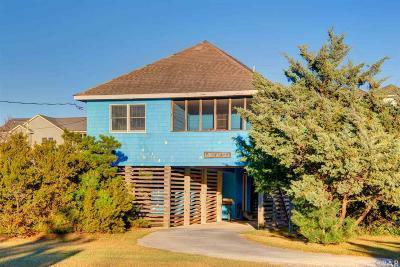 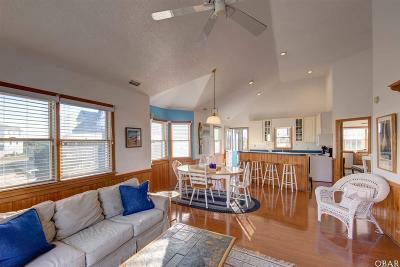 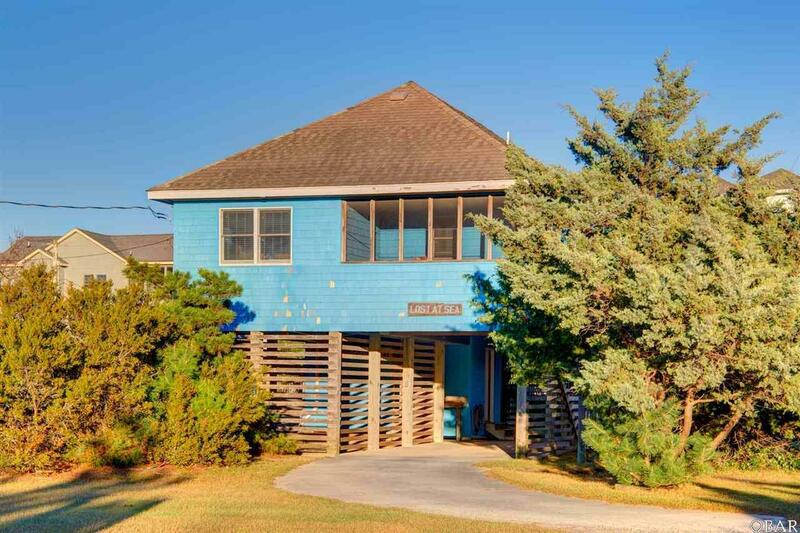 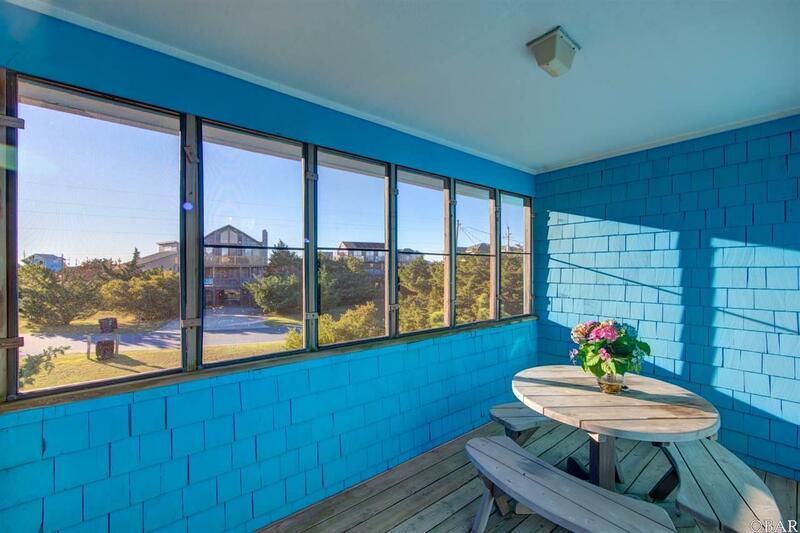 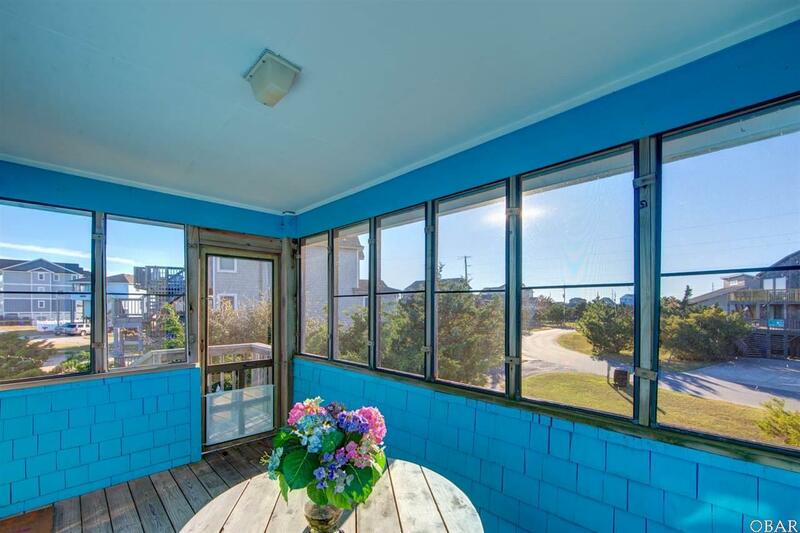 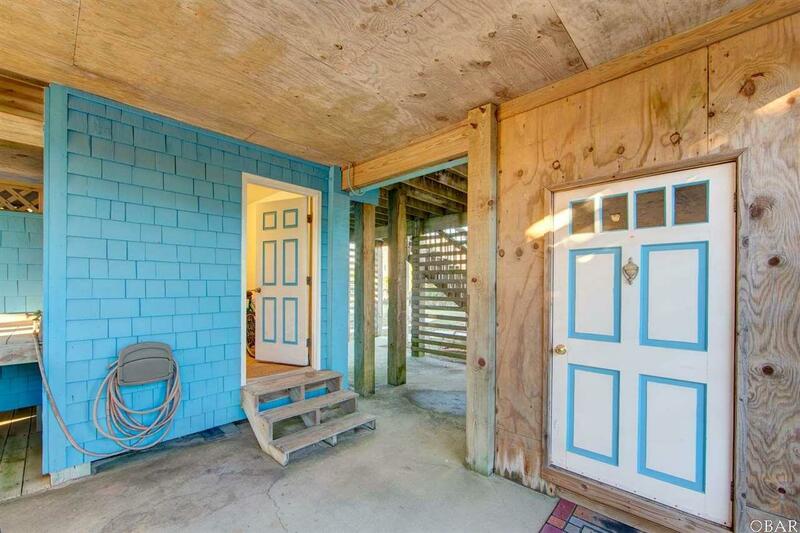 You don't want to miss checking out this charming semi-oceanfront cottage that was recently highlighted on an episode of HGTV's 'Beachfront Bargain Hunt.' Located only ONE LOT back from the beach in a wonderful family friendly neighborhood makes this the perfect location for a delightful vacation rental or second home. 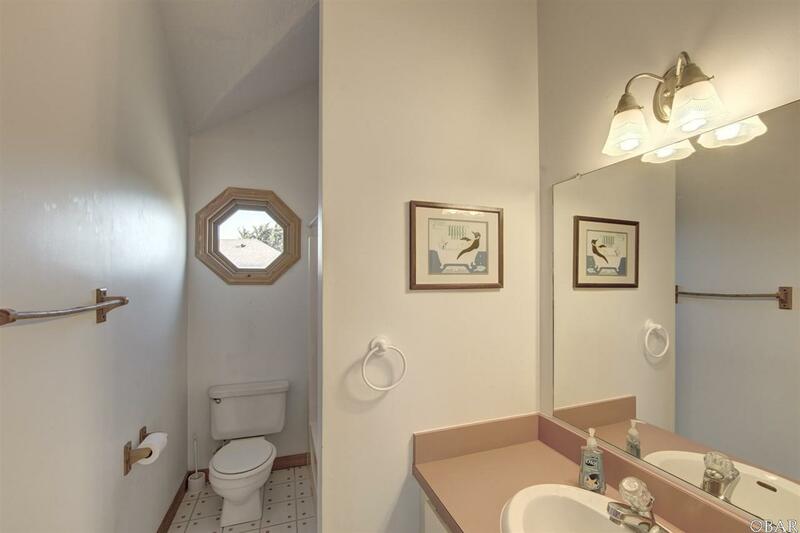 Who says that bigger is better? 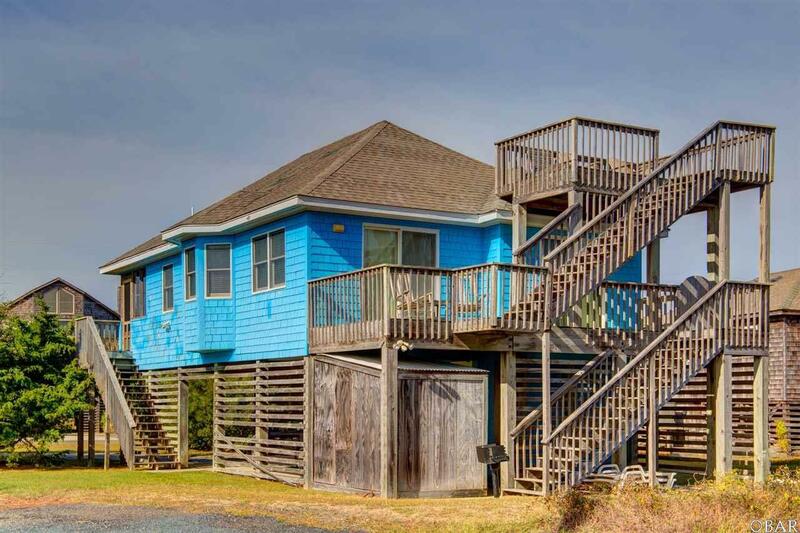 If you are looking for a home that is modest in size but with more character than your typical beach box layout AND an amazing location...this is it! 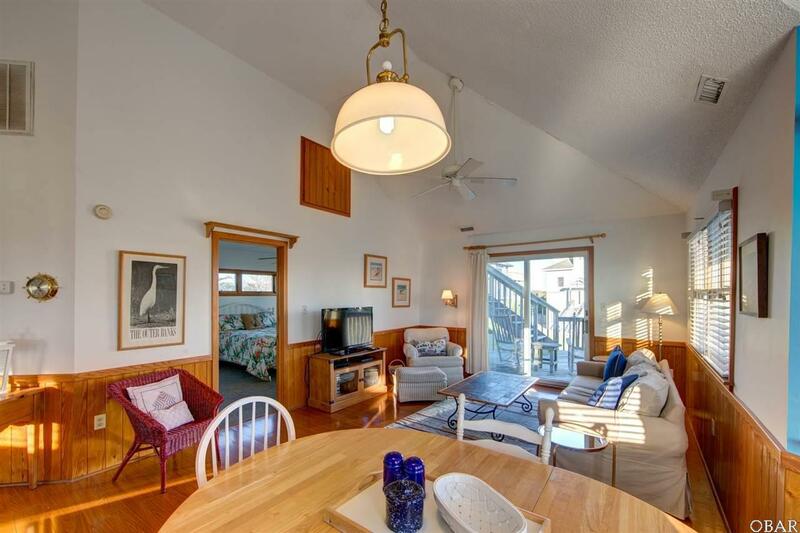 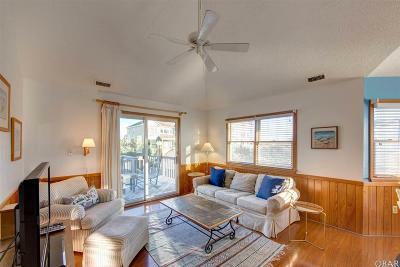 Lost At Sea features two bedrooms which are both masters and a large open and airy kitchen, dining and living area. 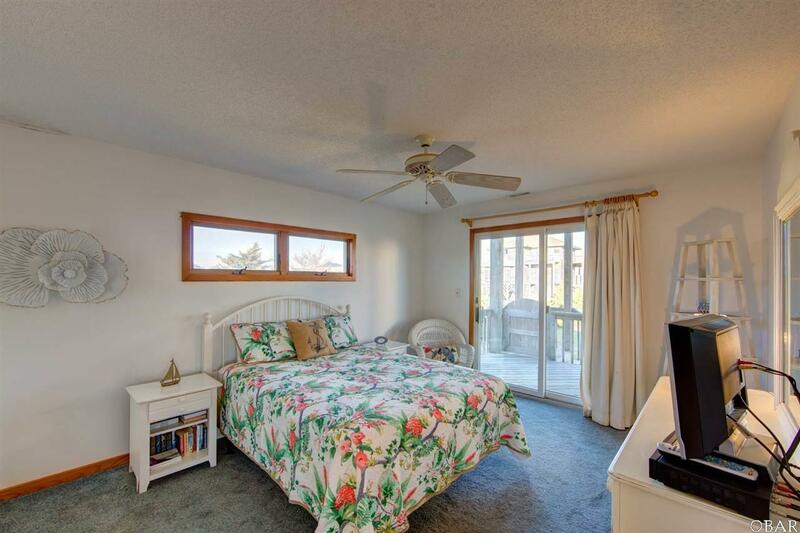 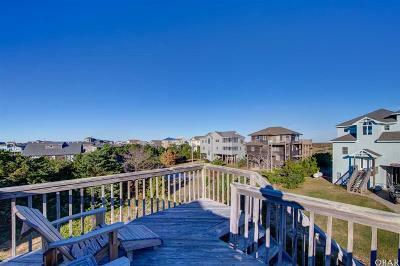 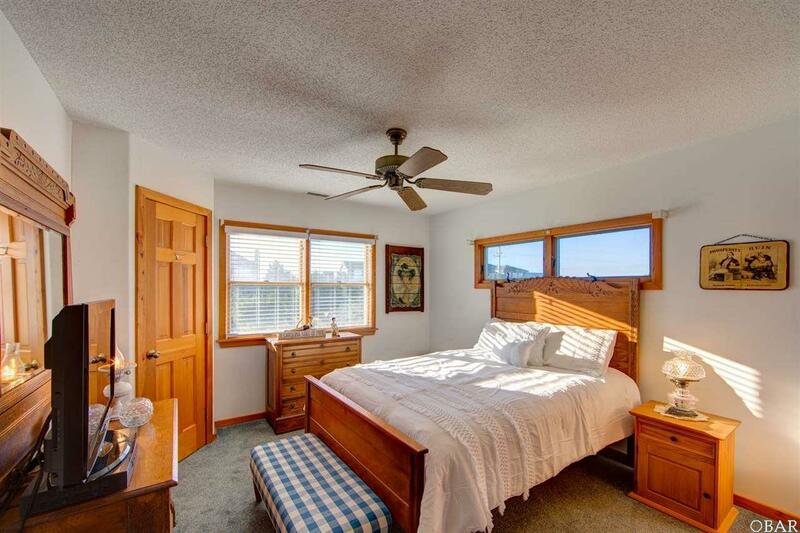 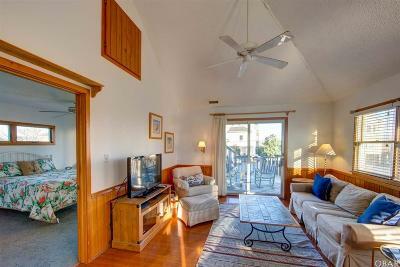 One master bedroom has direct deck access. 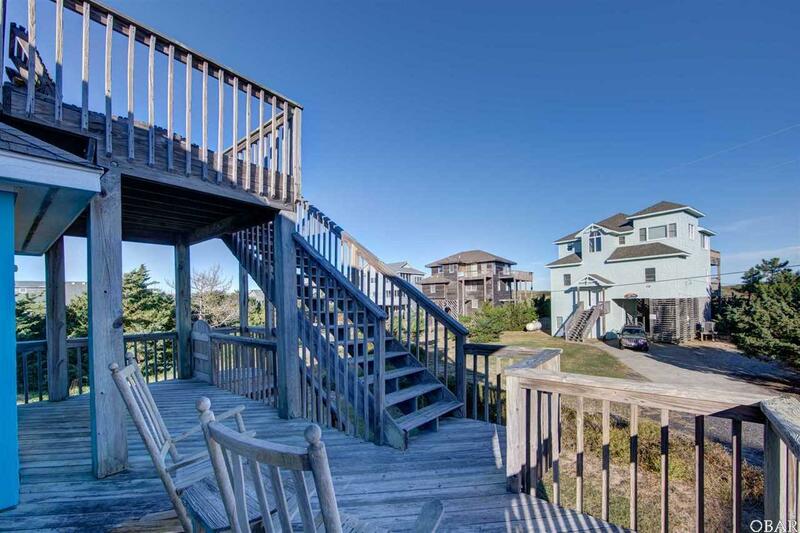 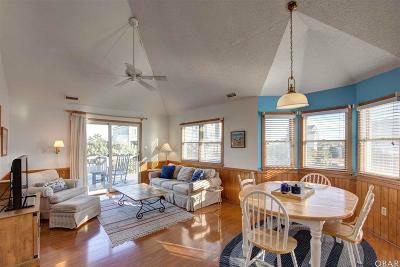 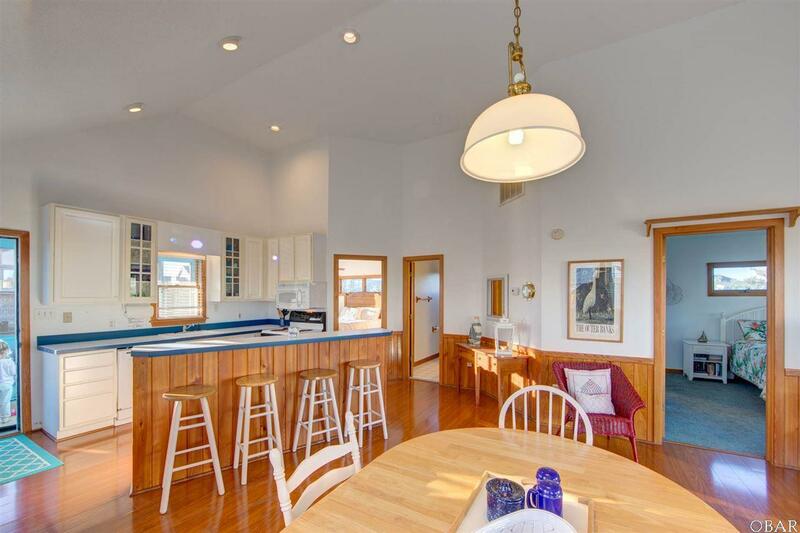 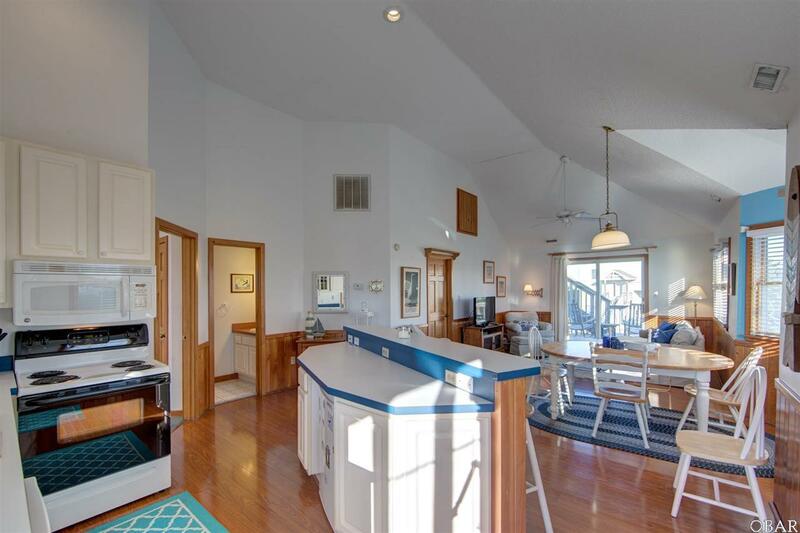 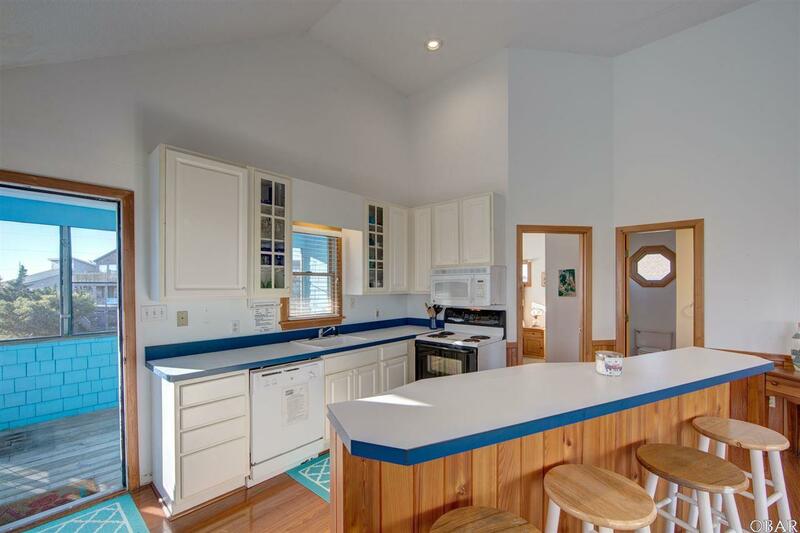 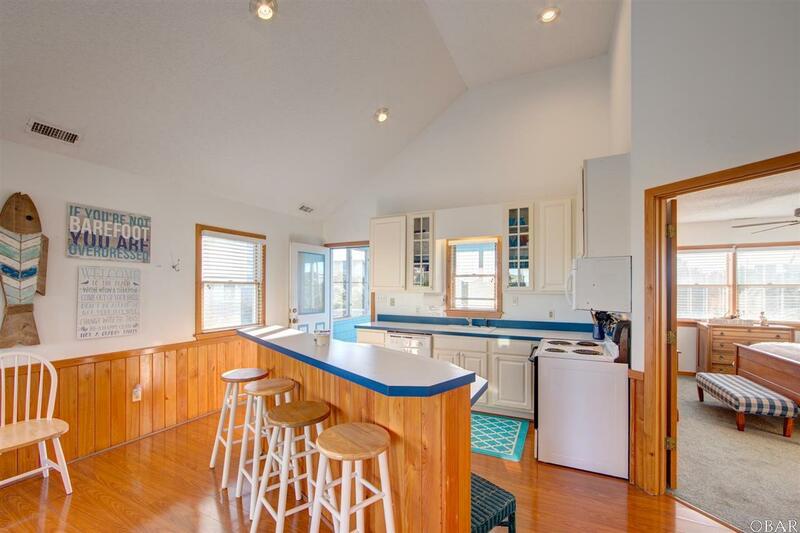 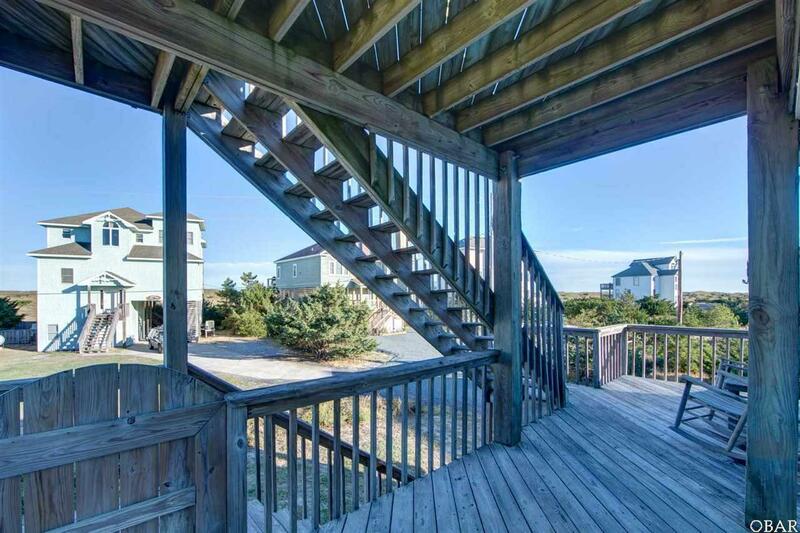 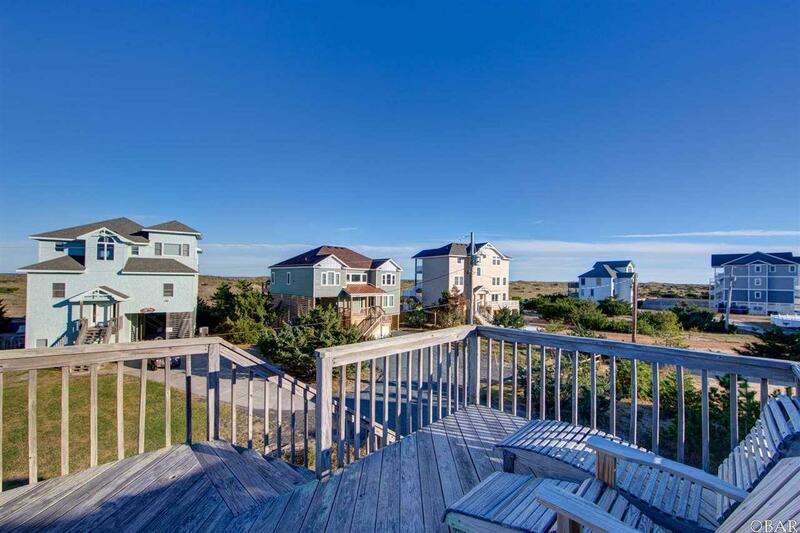 There is a screened porch located off the kitchen where you can enjoy dining al fresco, or head to the oceanside of the house to relax on the covered or open deck. 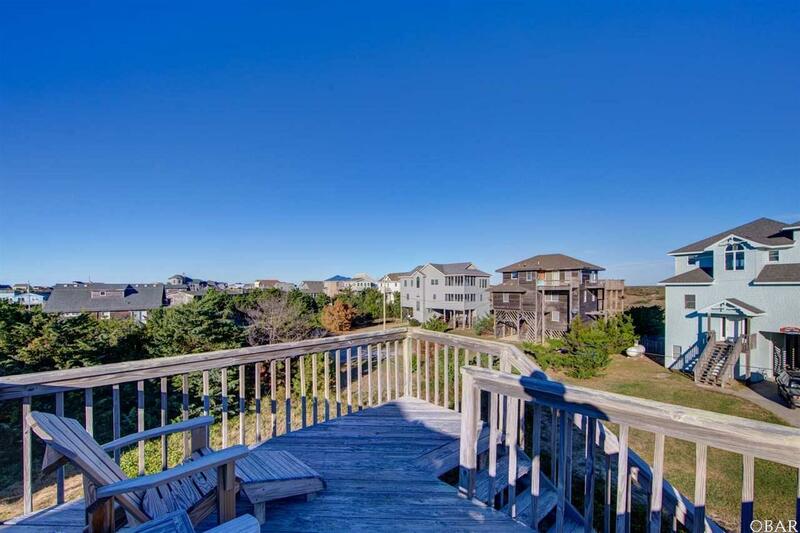 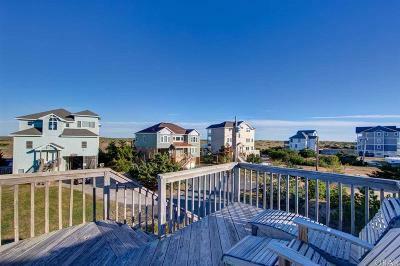 Head up to the rooftop deck for views of the ocean and beach. 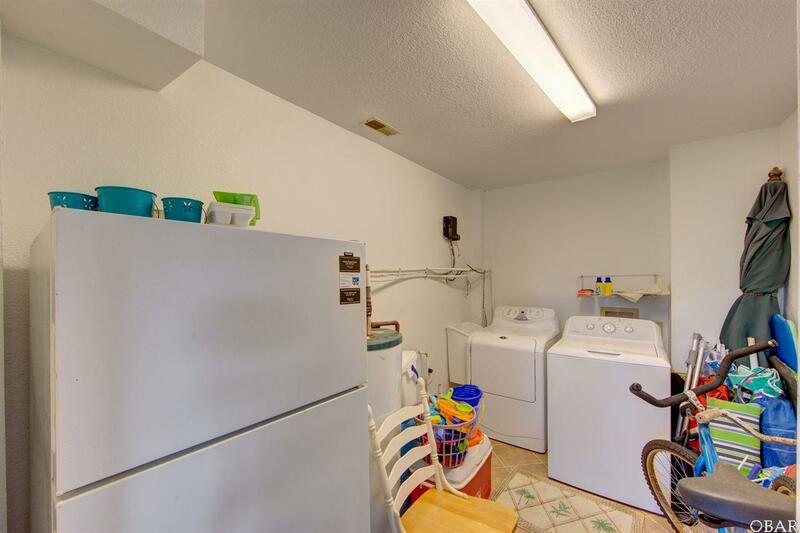 There is an outdoor shower, dog run, storage shed and laundry room downstairs. 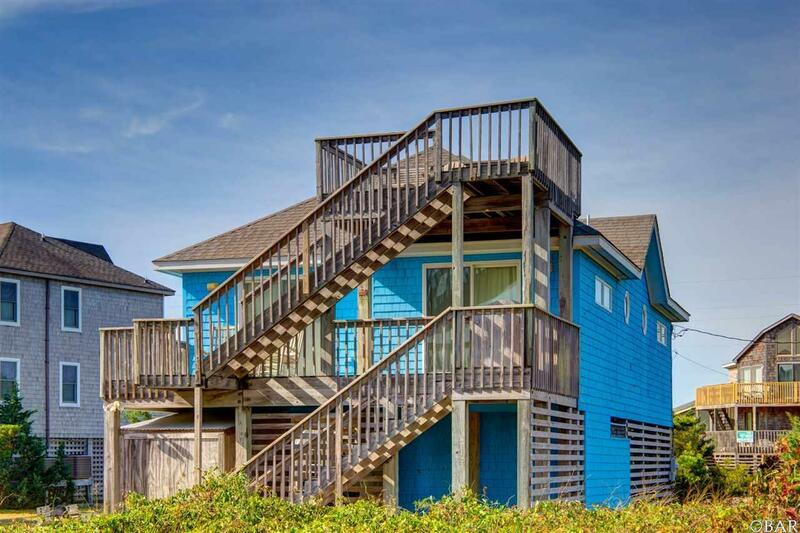 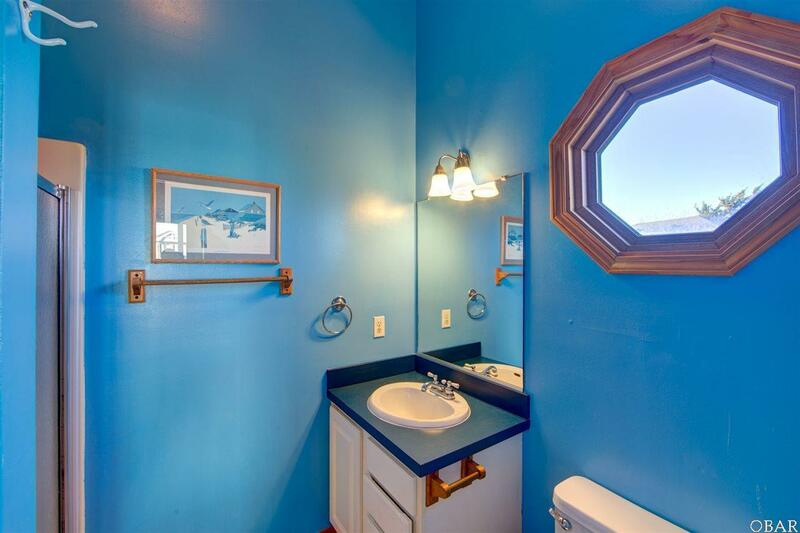 Make this your home today while dreaming of getting Lost At Sea.